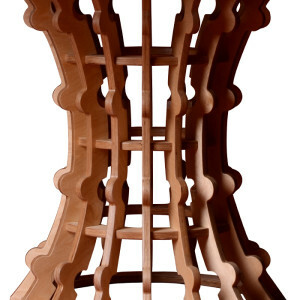 In addition to being a functional and durable piece of furniture, the Snopek table is a work of art. Handcrafted in Detroit, and made from sustainably grown and harvested plywood, the Snopek is formaldehyde-free. The Snopek table is also available with a glass insert and with or without softly glowing embedded LED lights. Why settle for an ordinary table when you can own a piece of furniture that is also a handcrafted work of art? 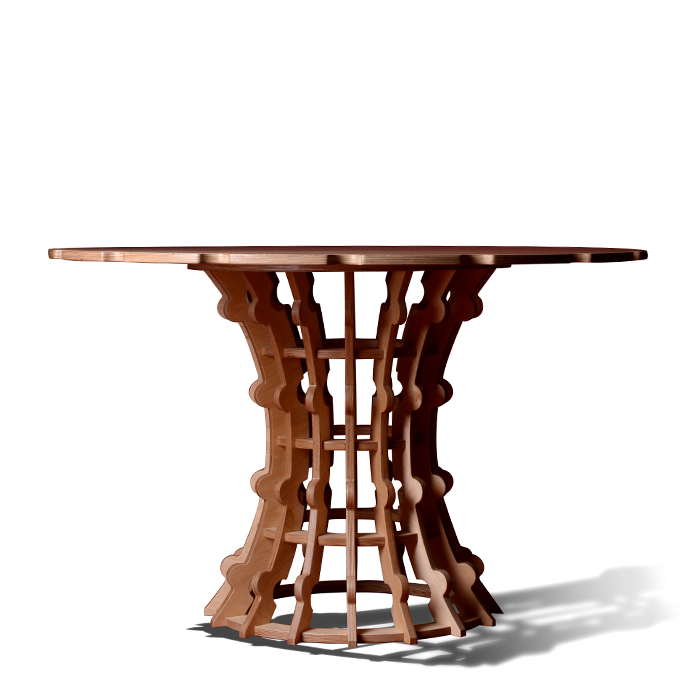 Elegant scalloped edges elevate the design of the Snopek table to a breathtaking level. 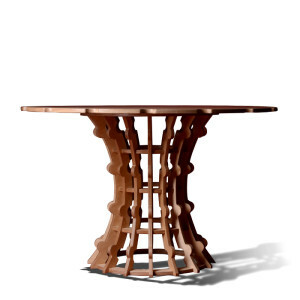 Sure to be the focal point of any seating area, the Snopek table is guaranteed to enhance the ambiance of any room. 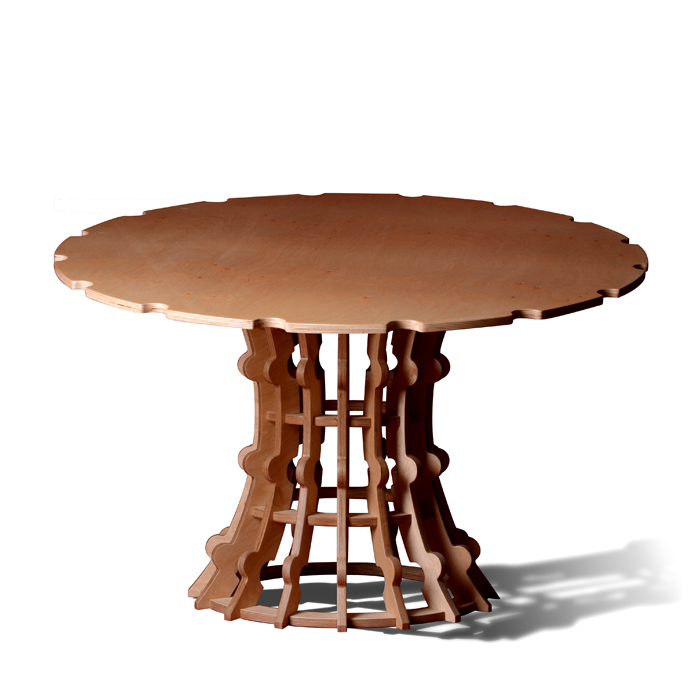 Crafted from beautiful and durable Baltic birch, each Snopek table is made-to-order in your choice of color or finish. We can also create a custom color, or custom match furniture you own, for an additional charge. The Snopek can be constructed to include an optional glass insert, and also offers optional LED lighting that will fill your room with a warm and dramatic glow. NOTE: Light option includes either white or color-changing LED lights and transformer with 120V cord. Click here for color swatches of available finishes. Each piece of furniture is handcrafted by American workers in our woodshop in the Russell Industrial Center, located in the heart of the City of Detroit. Because each piece of furniture is made-to-order, we are able to offer a wide variety of colors and finishes. 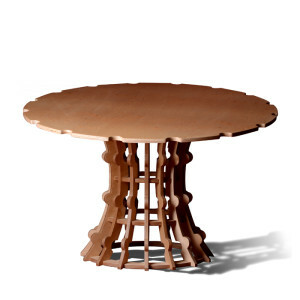 We can also create a custom color, or custom match furniture you own, for an additional charge of $500. Mobel Link Furniture is constructed from beautiful and durable Baltic birch plywood. If you would prefer to have all-American content in your furniture, we can also make your piece out of American-made “ApplePly” brand plywood, manufactured by States Industries located in Eugene, Oregon. (As this product is more costly, please expect a small up-charge.) Please call to inquire about prices if you wish to have your furniture made-to-order from a wood product other than Baltic birch. 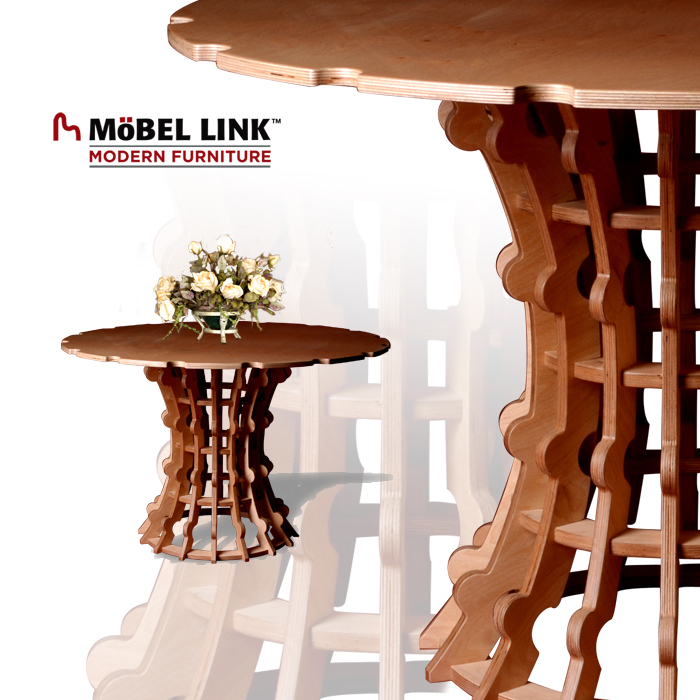 Click here to CONTACT US FOR PRICES on your custom furniture order. Click here for shipping rate information.